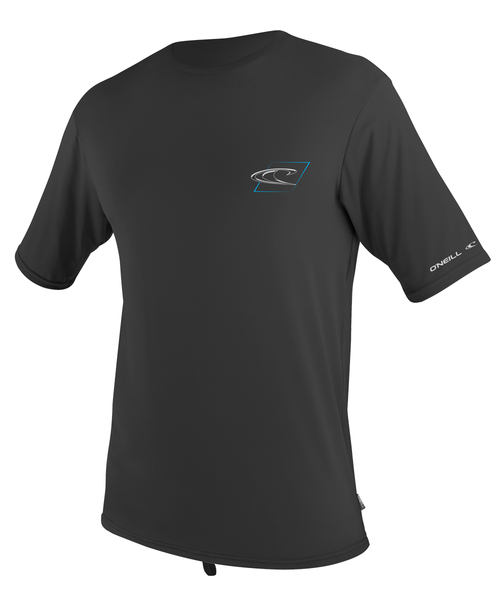 5	stars -	"Review for Oneill Hyperfreak Skins Mens S S Rash Tee Black" Mark Taylor This Oneill Hyperfreak Skins Mens S S Rash Tee Black is the best Rash Vests I have tried. Looks like a tee shirt works like a rashie, loose fit for style and comfort. The Hyperfreak series of rashvests from Oneill feature the all new TechnoButter Skins.? Provides maximum sun protection in a futuristic water resistant fabric.